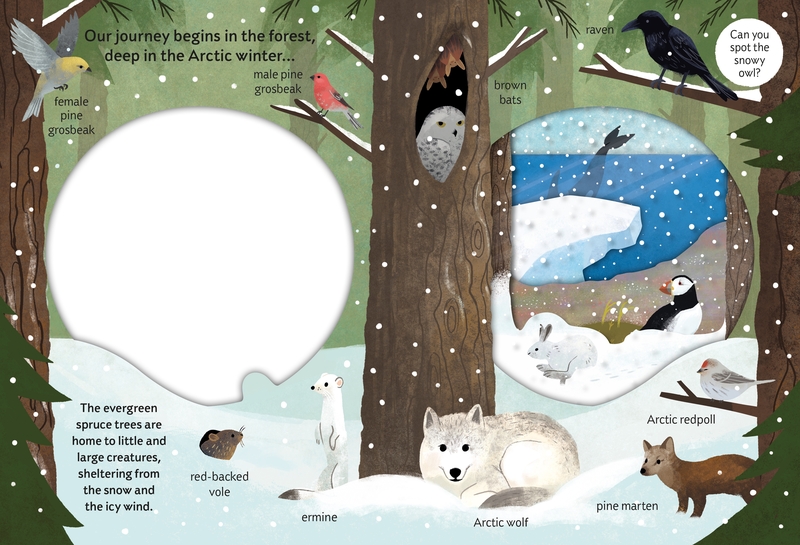 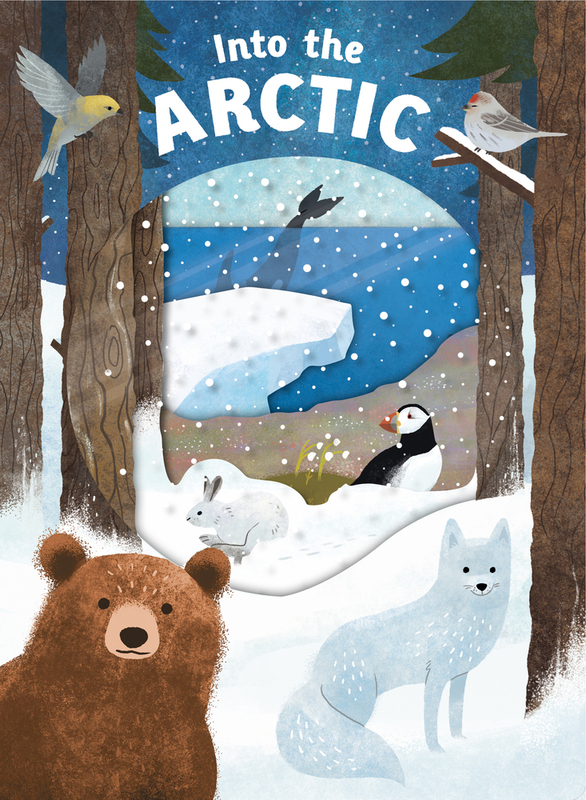 Acetate windows draw you into a wintery wonderland as you journey through magical, Arctic landscapes in this beautifully illustrated book. 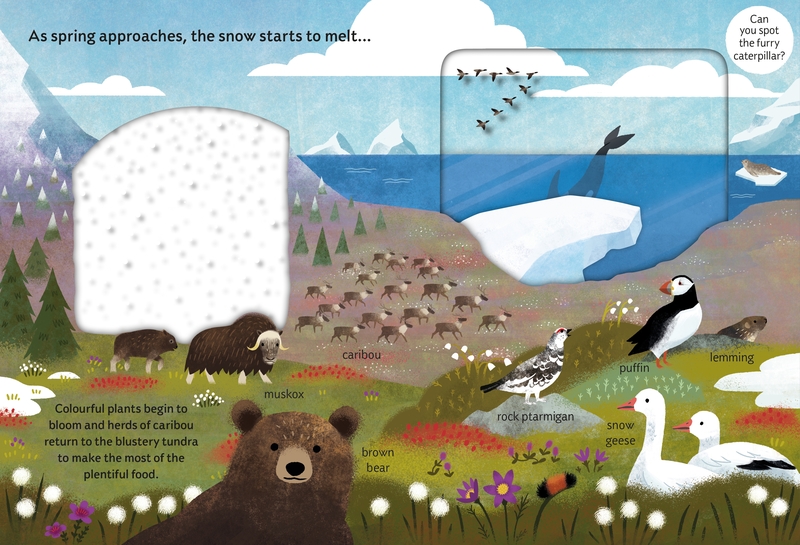 The acetate pages build a layered effect, and as each page is turned, a habitat full of Arctic creatures is revealed. Journey through the Arctic forest, blustery tundra, and out into the ocean to meet polar bears, caribou, whales, and more interesting wildlife.